The 2015 Cadillac CTS is featured in an OnStar Ad that debuted this week. 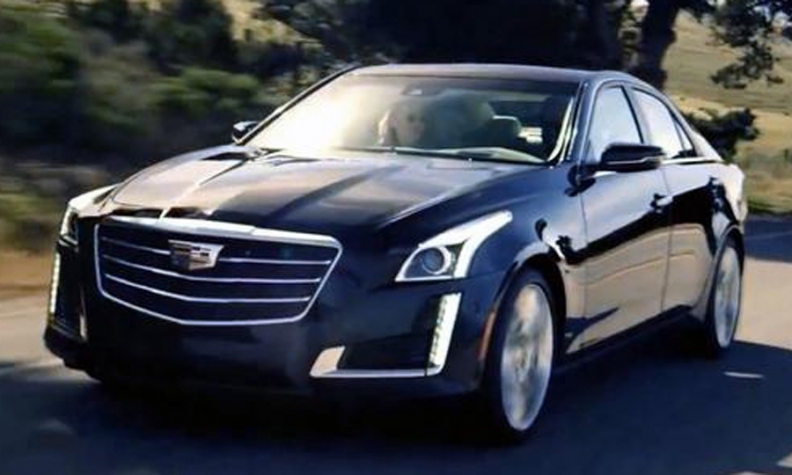 The 2015 Cadillac CTS made a surprise short appearance ahead of its scheduled debut in an OnStar commercial this week. The tip-off? The new wreath-less Cadillac crest, first seen on the upcoming 2015 Cadillac ATS coupe. The ad spotlights OnStar with 4G LTE, which turns the car into a Wi-Fi hotspot for online usage -- but the CTS is not mentioned by name. The 2015 CTS will also add SMS text messaging; Lane Change Alert and Lane Keep Assist; and new dark Adriatic blue and crystal white exterior paint options. Gone are the CD player and the mocha-steel metallic and white-diamond exterior colors. Expected to return are the 272-hp turbo four, the 321-hp V6 and the turbocharged 420-hp V-Sport V6.